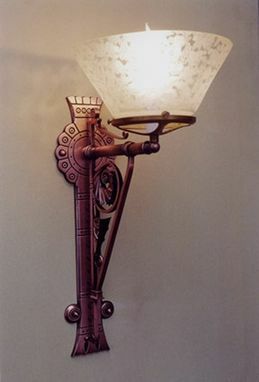 We made 7 of these wall sconces for a home in Ohio. They are fabricated with brass and have cast bronze components. Lights were then copper plated and patinaed for a very specific finish. My customer provided antique shades to complete the authentic look.